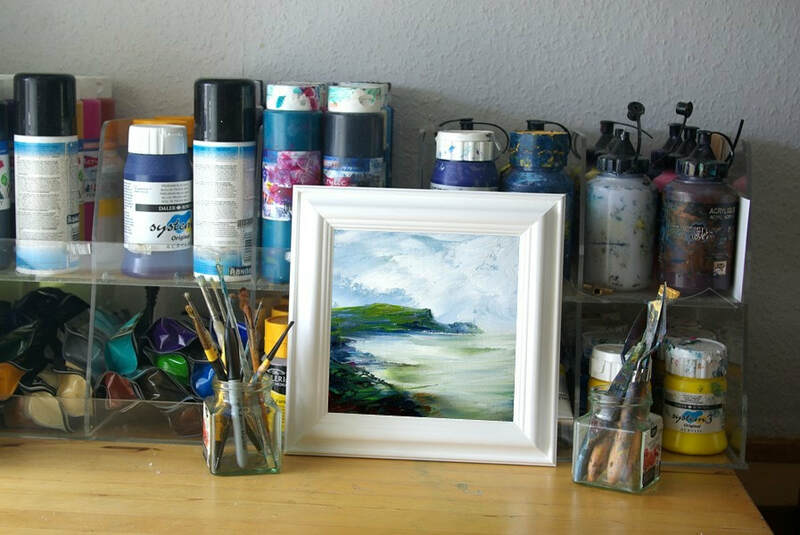 ﻿An original Scottish seascape landscape painting inspired by the scenery of the white sandy beaches and rocky grass covered headlands around Talmine, near Tongue, Sutherland a small crofting township in the far north of the highlands of Scotland. In this artwork I have tried to convey the tranquil atmosphere of this remote landscape on a cool summer day with a white cloudy sky. 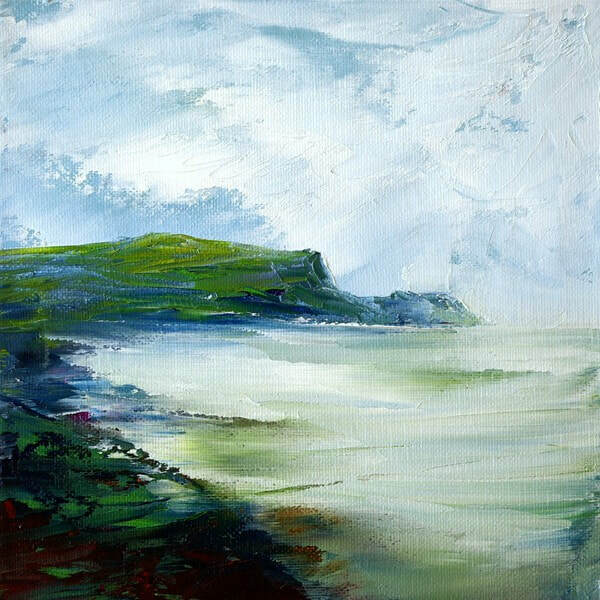 Painted on a small square 8" x 8" canvas in acrylics in shades of green and white colours . Available as professionally printed signed fine art giclee prints 12" x 12" or 20" x 20" on textured watercolor style paper.